I'm doing this post partially to convince myself that my bangs will be more fun when they grow out but mostly because we all love big beautiful hair and pretty photos! 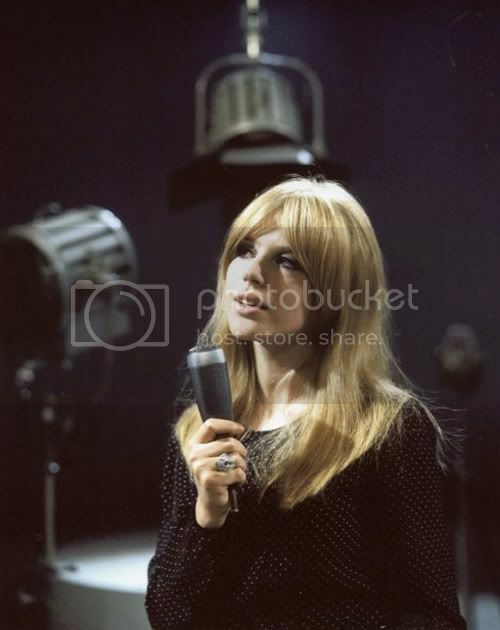 Marianne Faithful's tomboyish bangs are really cute because of how they fade into the rest of her hair so subtly. 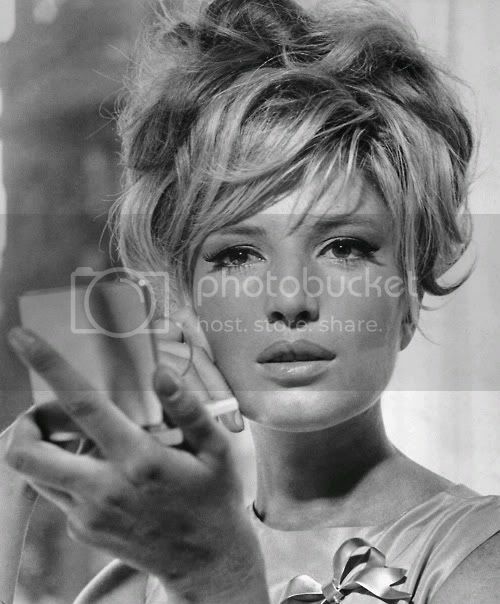 Monica Vitti's tousled side swept up-do...don't you wish you could do this to your hair..
BB with a a teased bouffant that is tall even by her standards! 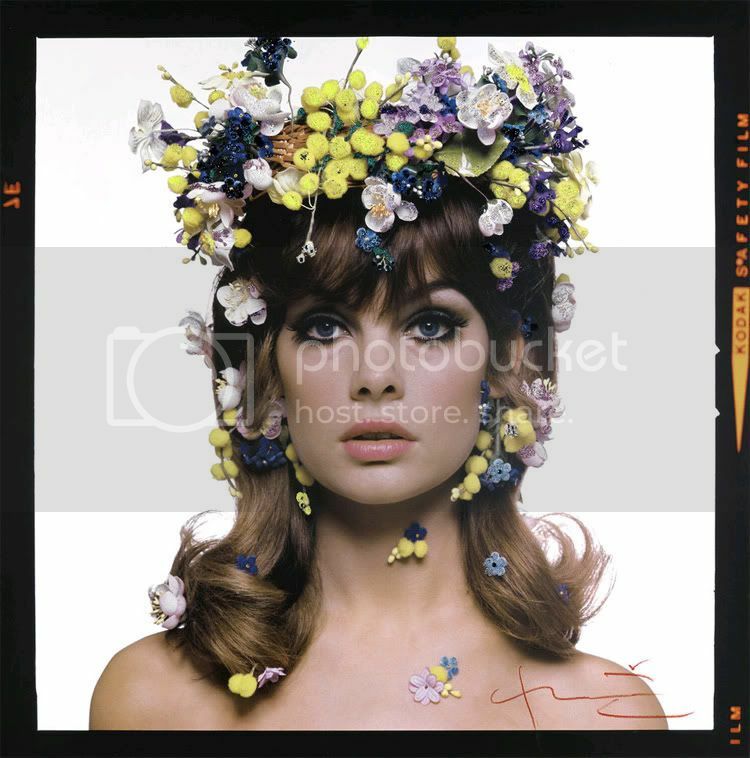 One of my favorite modern adaptions of bangs--very jagged and youthful. 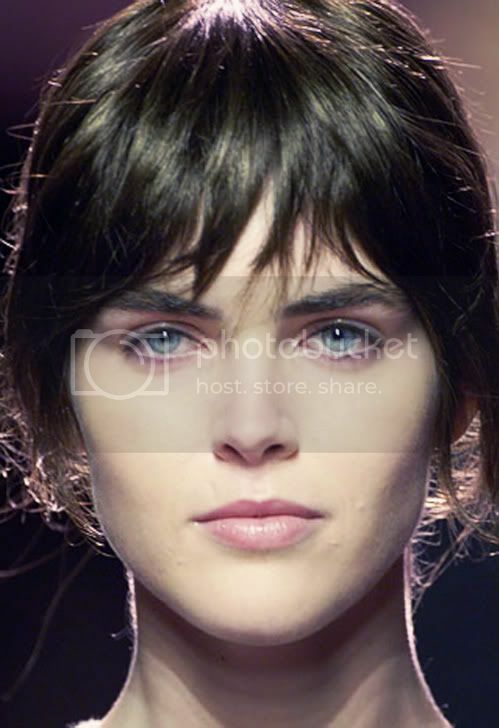 This was from Yves Saint Laurent's fall 2006 show--the picture I brought to the hairdresser when I had mine cut!